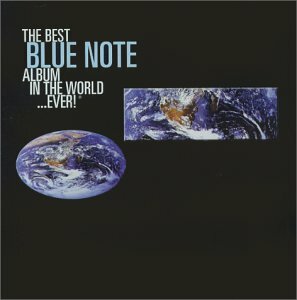 The Best Blue Note Album in the World…Ever! I found this superior compilation earlier this year while looking for the music of Stanley Turrentine on half.com. Now the title may sound a little lofty but there is definitely some fine music here from several of the great jazz legends and their contemporaries. If I were ever to teach a Jazz 101 course (don’t get any ideas here), this would definitely be recommended listening. The music of the past gives way to the music of today and beyond. This entry was posted on Thursday, July 24th, 2003 at 8:07 am. It is filed under Music Reviews and tagged with Blue Note Records, jazz, The Best Blue Note Album in the World...Ever!. You can follow any responses to this entry through the RSS 2.0 feed.